I hope you enjoyed Hollie‘s awesome interview last week, up next is a camp counselor who has worked at 2 different summer camps in the USA and is a fountain of knowledge on all things camp! 1. Where did you go to camp? How many years? 2. 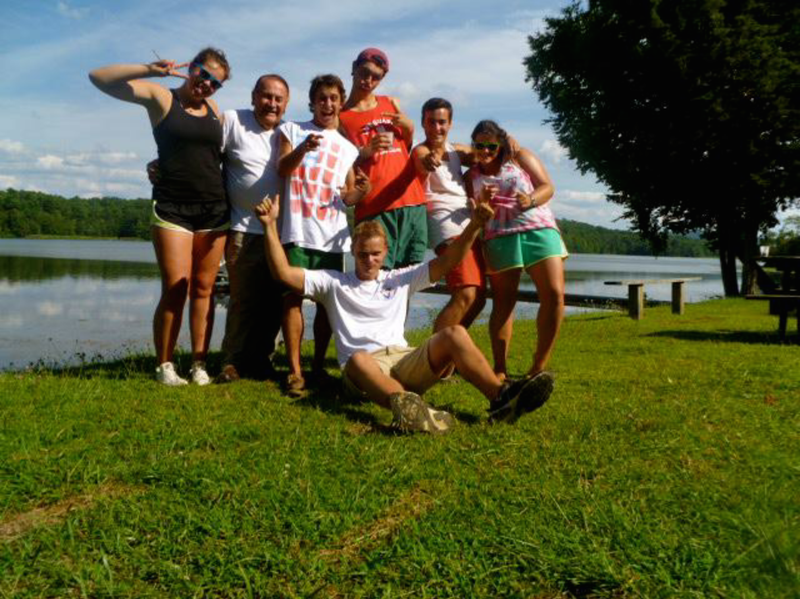 Why did you decide to work at summer camp? I wanted to go away for the summer, my sister worked at camp and loved it. So it seemed like a good option plus I already worked as a lifeguard. 3. What agency did you apply to camp through and would you choose them again/how did you find their service? Firstly Camp Leaders who were good and every year following I have used 3 Adventures who are awesome. 4. 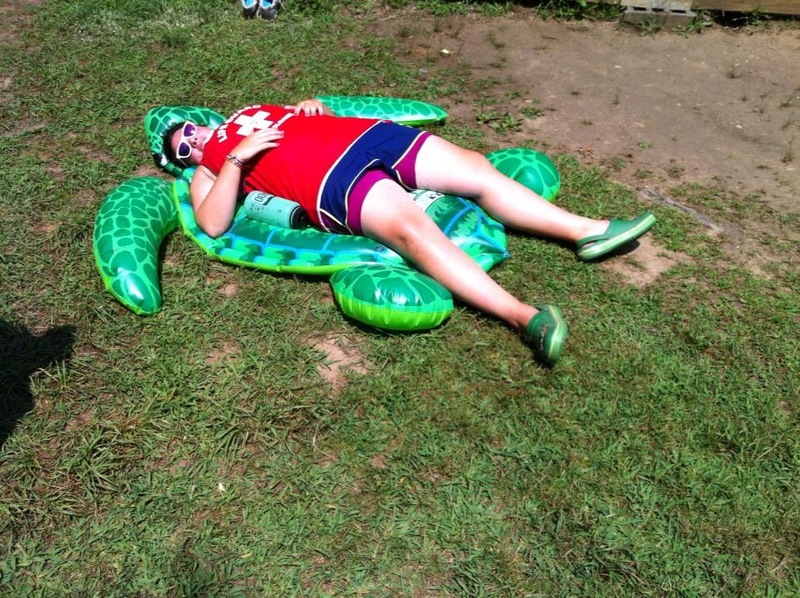 What is/was your role at camp? 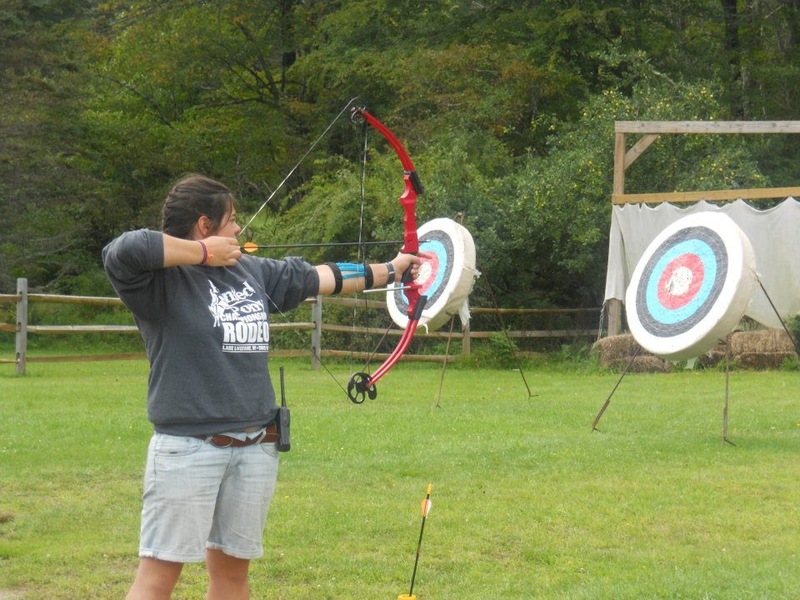 I’ve done a little bit of everything at camp – from horsebarn (even though I don’t like horses), lifeguard/waterfront, high ropes, archery, boating….the list could go on. 5. Did camp meet your expectations? In what ways? Probably more than I could ever have expected, I thought it was a one summer type thing but I just can’t stop returning! At camp you can be as silly as you want, follow ridiculous camp fashion (crocs with socks), live and work in the outdoors for 3 months. The hours are ridiculous, the bugs are gross, but the kids, the people and the tan are awesome and make everything totally worth it. 6. What 3 essential items would you never go to camp without? At the time it wasn’t quite so funny but…. I had just returned from day off and was taking the kids on a night hike, the one rule of night hikes is…no flashlights, so the bravest 2 staff have to split one at the front and one at the back (these are the scariest because you can see very little, it’s in the woods with lots of animals from bears to deer to mountain lions). I’m at the back paranoid as ever, jumping at every noise, kids adding paranoia asking “Hey Eimear do you think there are bears out here?”, when I turn round and see a pair of eyes walking across the trail behind me, and it’s something pretty big. As per protocol I begin belting out ‘Jingle bells’ a song most people know, since black bears are shy animals this should be enough to encourage them to move away and a code to alert other staff. I didn’t stop singing until we were safely back at camp, at which stage everyone was desperate to know what happened and our staff t-shirts were literally dripping with sweat (gross I know). And for all I know it may have been a skunk…. 8. What is/was your favourite camp food? Pizza dipped in ranch dressing. I only do this at camp, it’s weird. 9. What is/was your favourite camp cheer/chant? 10. What is your favourite camp saying/word/expression? A kid asking you if you can be their counsellor next summer is the biggest compliment at camp. 11. Where did you travel to after camp (if you travelled)? Wisconsin, Chicago, Las Vegas, LA, San Francisco, Florida, Boston, NYC, Maryland. I’ve done a mix of travelling with camp friends or travelling to stay with camp friends. 12. How has camp influenced you/who you are/what you do? Ultimately camp has given me some great friends, great memories and a part time job while still at uni. Camp has taught me to step outside my comfort zone, give me confidence speaking to groups, confidence in myself that I can teach a group of kids new skills. 13. 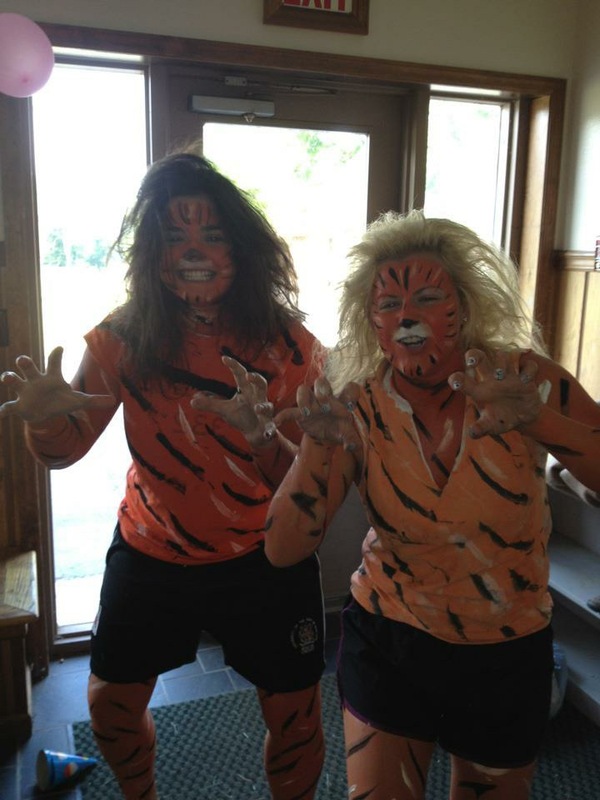 What is the BEST thing about being a summer camp counsellor? Having the coolest summer job going – as I said before it’s outside = tan, you work with similar minded people and working with kids teaching them new skills is extremely rewarding. 14. What’s the WORST thing? Coming home after 3 months of working in the sun, eating meals at set times, waking up automatically at the same time everyday and being surrounded by friends…to waking up at home with no schedule or set meal times despite my tummy telling me otherwise. 15. What the most important thing that camp has taught you? Sometimes you have to step outside your comfort zone. 16. Anything else you want to say to people thinking about working at summer camp? Just go for it – if you don’t do it now you probably won’t ever get the opportunity again. When you’re applying in the skills section, put down activities that you are passionate about and you REALLY love. When you’re teaching kids, if you really love an activity they (mostly) will too. Remember camp directors/agencies aren’t looking for Olympic level coaches in the activities (although if you were one it would be awesome) they want people who have the passion and ability to share their skills.